This continues our fall series of storytimes about self and community. 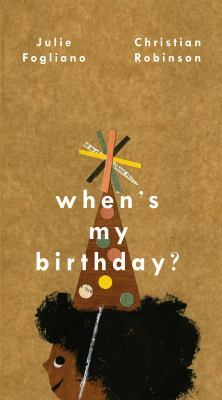 Story: When’s My Birthday? by Julie Fogliano. Our staff loved this one so much we put it on our Great Gift Books list for the year, but I wasn’t sure it would work at storytime. The color palette is pretty muted, and while there’s repetiton, it isn’t necessarily repetition that invites participation. I started off by talking about birthdays and what happens on a birthday, so they were excited to recognize some of the things in the book that we had already talked about – balloons, cake, etc. Song: “A Cat Had a Birthday” from Sesame Street’s Hot! Hot! Hot! Dance Songs. The main point of this song is to meow (or bark or moo or whatever) to the tune of “Happy Birthday to You.” We sang it a cappella and I let the kids decide what animals to insert. Story: I Am Invited to a Party by Mo Willems. This is one of my favorite act-out stories. It just so happened that my third grader didn’t have school, so she decided to come to work with me and serve as a storytime helper. She played Piggie, I played Gerald, and I borrowed a storytime mom to play the party host at the end. We brought in some dress up clothes, and every time Gerald and Piggie whooshed off to get dressed, we played the Kidz Bop version of “Girls Just Wanna Have Fun” while we ducked behind the flannel board to put on our costume pieces. I love this story, and it was lots of fun, in part because the adults got into it. 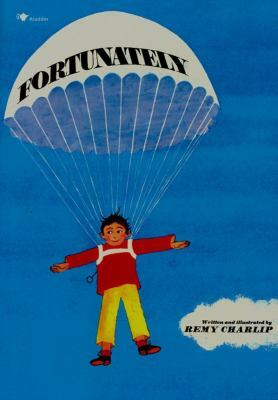 Story: Fortunately by Remy Charlip. I was planning to sing “Happy Birthday” to everyone by age, but the craft was going to get messy, so I decided to just finish it up with a quick story. Activity: Decorating cupcakes. 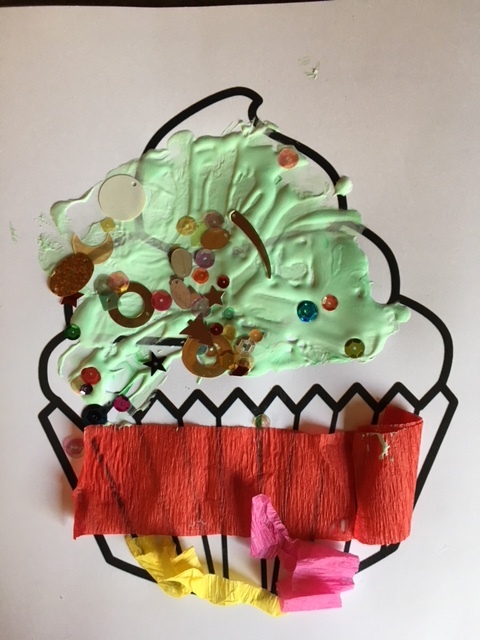 I was planning to have the kids glue crepe paper on the bottom for the wrapper and then color the top and decorate with sequins. But I woke up in the morning with an even better idea: puffy paint! I gave each child a craft stick and a cupcake paper with glue in the bottom. I had them use the stick and glue to glue on the crepe paper. Each table also had a few cans of shaving cream and some food coloring. 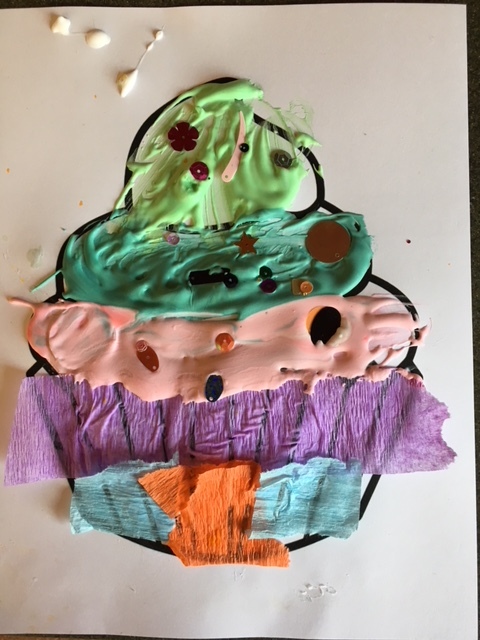 They added shaving cream and food coloring to the glue and mixed it up to make puffy paint, which they used to decorate their cupcakes. It was a little bit messy, but not as bad as I thought. And it was really fun. And it had the feel of a cooking project, both in the mixing and in the materials.